Harlan “Bill” Waddell, age 74, of Olive Hill, Kentucky, went home to be with the Lord, Wednesday morning, March 28, 2018, at St. Claire Regional Medical Center in Morehead, Kentucky. He was born October 19, 1943, in Carter County, Kentucky, a son of the late Robert Able “Rob” and Hattie Florence Whisman Waddell. 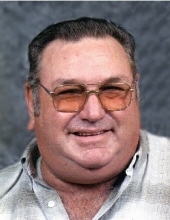 Bill was of the Church of God faith and loved going to Bairtown Church of God. He worked for 32 years in road construction and loved going to church, sitting on the porch talking to his neighbors, watching NASCAR, UK Basketball and Survivor and spending time with his family and friends. In addition to his parents, he was preceded in death by one son, Douglas Waddell; one brother, Robbie Waddell; three sisters, Dorothy Purnell, Faye Winkleman, and Betty Dore; one sister-in-law, Madge Waddell; and three brothers-in-law, Roy Winkleman, Ernest Purnell, and Bill Dore. Bill is survived by three sons and two daughters-in-law, William and Viola Waddell of Olive Hill, Kentucky, Timothy and Glenna Waddell of Morehead, Kentucky, and Dana Waddell of Mt. Sterling, Kentucky; one daughter, Tammy Waddell of Olive Hill, Kentucky; a special little girl that he thought of as his own, Allie Jo Pennington; 13 grandchildren; nine great-grandchildren; and one sister and brother-in-law, Ruth and Bob Fouch of Morehead, Kentucky. He also leaves many other family members and friends who will sadly miss him. Funeral services will be held at 11 a.m. Saturday, March 31, 2018, at Globe Funeral Chapel in Olive Hill, Kentucky, with Brother Bobby Day, Brother Elijah Wagoner, and Brother Justin Wagoner officiating. Burial will follow in the Waddell Rock Springs Cemetery in Olive Hill, Kentucky. Friends may visit from 6 p.m. to 9 p.m. Friday March 30, 2018, and after 9 a.m. on Saturday at Globe Funeral Chapel, 17277 West Highway US 60, Olive Hill, Kentucky 41164. Brenda Wallace, Herman Conn, Rex Stamper, Jacob Stamper, Jacob Waddell, Mark Porter, TJ Wallace, Donnie Waddell, Danny Waddell, Mike Royce, Chaston Knipp, Bill Bradley, Jeff Madden and John Porter will serve as pallbearers. Buck Tackett, Gayle Porter, Dayton Porter, Donnie Tackett, Freddie James, Donnie Carroll, Virgil Richmond, Haskell Markwell, Jeremy Benton, Clifford Porter, Clinton Porter, Cliff Willy Gilliam, Jeff Zornes, Bronston Black, Von Kiser, Frosty Caudill, Phillip Arrowood, Terri Wallace, Clifford Roe and Guy Underwood will serve as honorary pallbearers. In lieu of flowers, the family request that all donations be made in Bill’s memory to St. Claire Hospice, 201 Lyons Avenue, Morehead, Kentucky 40351.